For merging, splitting, encrypting, stamping, and bookmarking PDFs. Is there a better alternative to Coherent PDF Command Line Tools? Is Coherent PDF Command Line Tools really the best app in Applications category? Will Coherent PDF Command Line Tools work good on macOS 10.13.4? Coherent PDF Command Line Tools are professional command-line tools for manipulating PDF files: split, merge, linearize, scale, rotate, crop, encrypt, decrypt, watermark, bookmark, annotate, attach, impose, etc. Full manual provided. For Windows, Mac, and Linux. 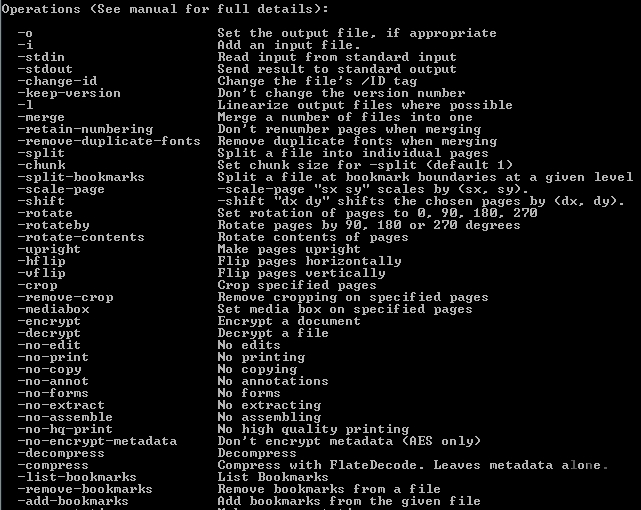 Coherent PDF Command Line Tools needs a rating. Be the first to rate this app and get the discussion started!